StorageCraft ShadowProtect IT Edition is a system administration tool designed to give users the power to protect and recover valuable business systems and data without adding new headaches. 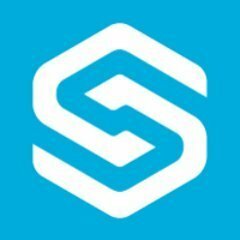 Work for ShadowProtect IT Edition? Learning about ShadowProtect IT Edition? Does the job well and no need to wonder if its going to take hours and hours to back up or restore and then fail and have to start over. Works fast and the images created can be easily mounted on another PC or restored. It is on the expensive side but you do get what you pay for. Ability to back up a PC or server through the bootable drive and then replace hardware or restore it to another PC is well worth the price. Saves time and money when a client purchases a new PC or has a hardware failure and needs data backed up. ShadowProtect is a great product that solves all of our backup needs. There is nothing that i dislike about ShadowProtect. It is a useful program and solves our issues well. It just works. Very easy to configure, and is very powerful. Cost for this edition is not cheap, but it does perform. Desktop backup solution and drive cloning/imaging. Does the job quickly and consistently. * We monitor all ShadowProtect IT Edition reviews to prevent fraudulent reviews and keep review quality high. We do not post reviews by company employees or direct competitors. Validated reviews require the user to submit a screenshot of the product containing their user ID, in order to verify a user is an actual user of the product. Hi there! Are you looking to implement a solution like ShadowProtect IT Edition?